Cushions are an essential finishing touch to any interior décor and there are some great designs at Pembrokeshire’s foremost interiors store, Parfitts Carpets and Interiors. And they make excellent value gifts for Christmas too. Give the luxury finish to your interiors – or find some fabulous gifts for friends and family in Pembrokeshire with soft furnishings. There’s a beautiful range of cushions and some very good looking draught excluders too. Keep those icy draughts from grabbing your feet! These are practical presents with real style! 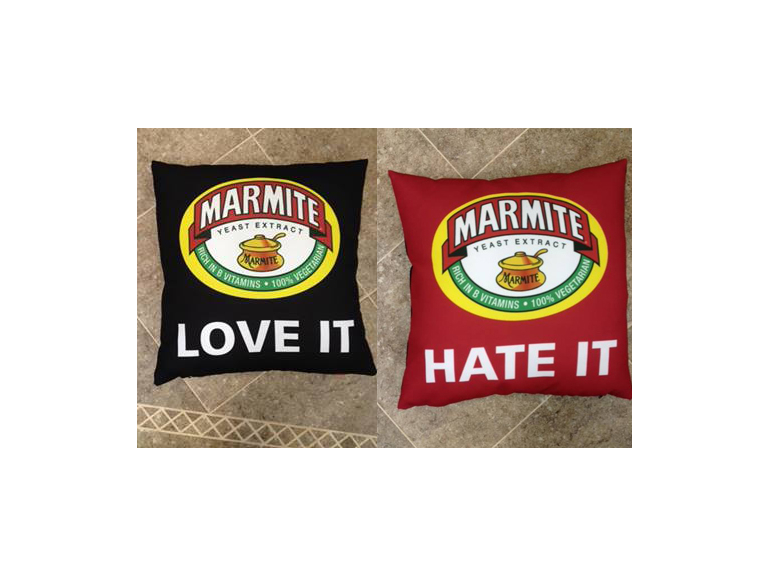 You can even get cushions for Marmite lovers (and Marmite haters!). Mine’s a *like*, please. Draught excluder designs feature a variety of beautiful dogs, puppies, cute cats and kittens. There’s one for bird lovers too. You can get cushion designs in fashionable faux antelope, cheetah, leopard and zebra – and more dogs, as well as yachts and cars. There’s even one for your camper van enthusiast friends. Parfitts Carpets and Interiors in Pembroke Dock have an extensive range of high quality soft furnishings, carpets and rugs, cane furniture and more. Visit the showroom or the website to see for yourself the fabulous range of products at very competitive prices - they have a variety of designs, colours and styles to suit all budgets. Hi I am part of thebestof team and help Diana promote and shout about our great local business members and also all the other great things that happen and go on in Pembrokeshire. To see the businesses in our Soft Furnishings section, please click here.